Researchers at Flinders University in Adelaide have developed a way to expand the reach of mobile phone networks by turning each mobile into a mesh network node using standard wireless technology. The Serval Project – named after a problem-solving African wildcat – aims to provide fast, cheap, robust and effective telecommunications systems where conventional phone infrastructure has been destroyed or is not cost-effective. By using each phone as a mobile “repeater” for Wi-Fi signals an ad-hoc communications network can be used to carry phone calls where there is no regular mobile service. Most modern mobile handsets have Wi-Fi signal support built-in. The Serval Project consists of two systems - a temporary, self-organising, self-powered mobile network for disaster areas formed with small phone towers dropped in by air and a permanent system for remote areas that requires no infrastructure and creates a mesh-based phone network between Wi-Fi enabled mobile phones. The two systems can also be combined. The research is being led by Dr Paul Gardner-Stephen whose interests include using Village Telco's mesh potato wireless back-haul devices to create ad-hoc and infrastructure-free "land-line" telephone networks. “There are many situations and places where telephone infrastructure is damaged by bushfire, earthquake, tsunami or unrest, or where no infrastructure exists – where conventional networks are of less value,” Gardner-Stephen said. “We have developed software which we’ve called Distributed Numbering Architecture, or "DNA", that allows people in isolated or temporary networks to immediately use their existing phone numbers. For a phone network to be useful, you must be able to call people, and have people call you on numbers that they know. This is especially true in disasters. This is the magic of DNA: it allows people to use their existing phone numbers, so that others can call them easily." By integrating DNA with existing mesh network technology developed by Village Telco with unlicensed wireless spectrum Serval will be able to provide telephone access to millions of people who lack affordable telephone coverage. Gardner-Stephen said with adequate financial support, the systems could be fully operational within 18 months. Another South Australian, David Rowe, also works on wireless mesh networks as an alternative to infrastructure-intensive fixed-line and mobile networks. Rowe is also working on a mesh potato Wi-Fi network in Dili, East Timor. At Flinders University, Gardner-Stephen is implementing the mesh potato feature-set on Android-based smartphones “to enable the creation of mixed mobile and land-line self-meshing ad-hoc telephone networks”. Gardner-Stephen says distributed infrastructure-free protocols allow people to use existing telephone numbers on ad-hoc telephone networks for temporary disaster-relief telephony and “ad-hoc telephony for remote and emerging regions”. In the event of a natural disaster where traditional mobile phone services are unavailable, an ad-hoc Wi-Fi mesh network could be used to make calls. 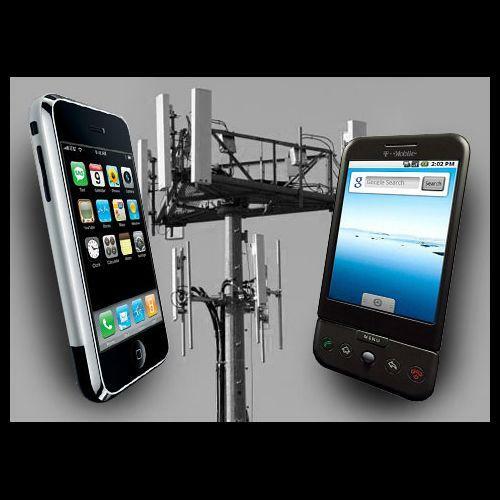 Such ad-hoc mesh services are generally not viewed as competitors to standard GSM networks. According to Gardner-Stephen, mesh potato compatible devices that operate on unlicensed spectrums promise much greater range, especially in remote and emerging regions. The mesh network in Dili operates on unlicensed Wi-Fi spectrum and amplifies and extends signals using connected nodes, or ‘potatos’. It is designed to carry voice, but will allow data access too.